The Weekend Vegan Challenge starts soon! Note: The challenge is complete, but you can still get the shopping list and recipes here! Weekends are a perfect time to try out some easy vegan recipes! The Weekend Vegan Challenge includes a set of 9 easy recipes, starting with dinner on Friday and taking you through breakfast, lunch, dinner and snacks on Saturday and Sunday. You’ll receive all of the recipes, a shopping list, plus time-saving tips by email in a handy PDF. …and by the way, it’s FREE. The first LIVE Weekend Vegan Challenge starts Friday, June 3. Once you sign up here, you’ll receive everything you need to get the party started. These plant-based recipes are simple to make and include easy-to-find ingredients. Try cooking vegan for a weekend. It’s easy and fun for the veg-curious and seasoned vegans alike! Be sure to invite friends or family to try these plant-based foods with you. Oftentimes people aren’t sure what a vegan lifestyle is about, and may even be a little skeptical! The best way to bring them along is to simply share your delicious food with them. I’ll be checking in with you to see how things are going and offer a few tips. In the meantime, don’t forget to follow along with me on Instagram and share photos of the recipes you create with the hashtag #WeekendVeganChallenge. Ready to join the challenge? Sign up to receive the free recipes and a shopping list. A Vegan Challenge! 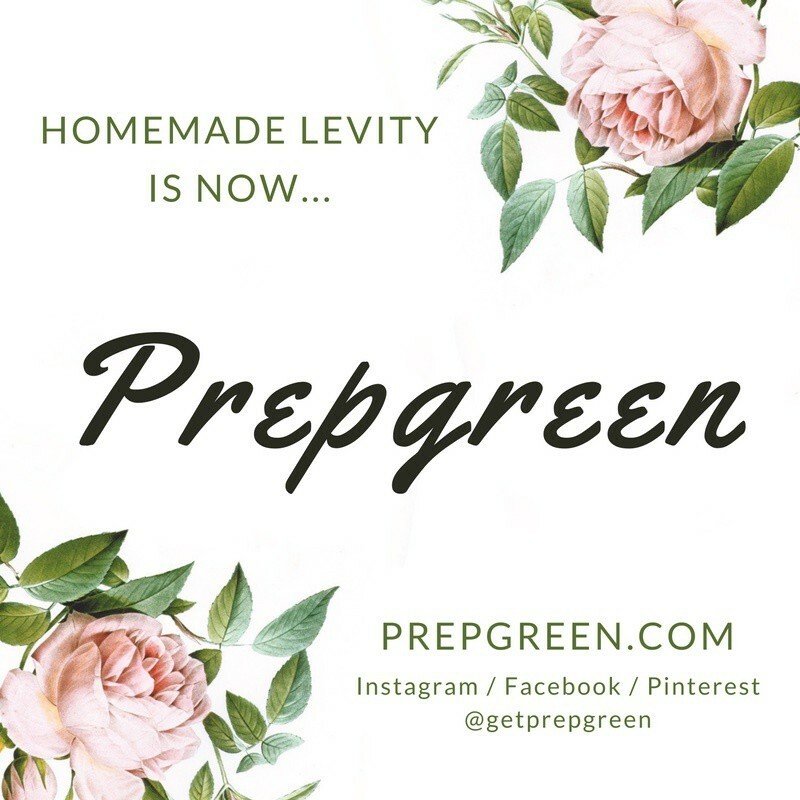 Homemade Levity is now Prepgreen!